Det. Supt. I. G. Cowan, right, and Det. 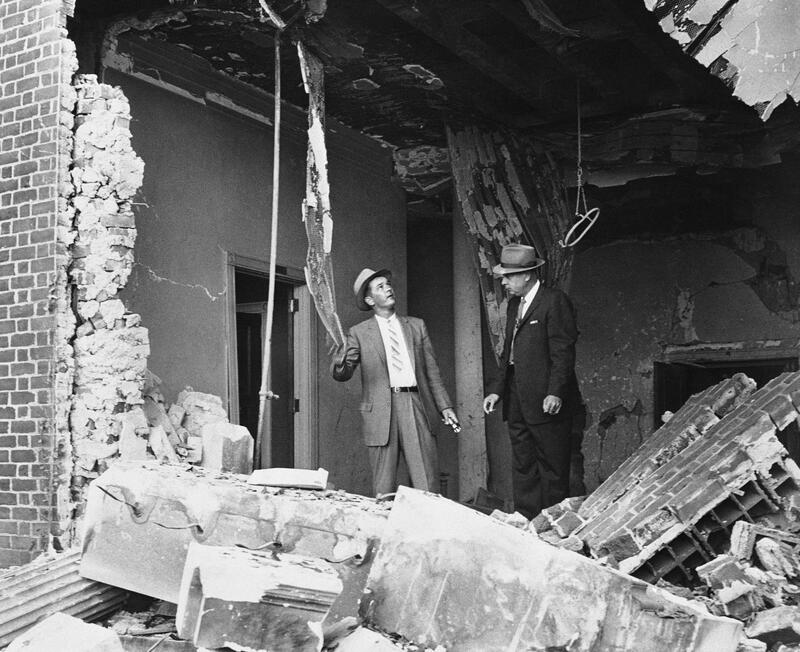 W. K. Perry examine dynamite ruins after an explosion at a Jewish temple in Atlanta on Oct. 13, 1958. No one was injured. "The Temple Bombing" premieres Wednesday, Feb. 22 at 7:30pm at the Alliance Theater, and runs through March 12.